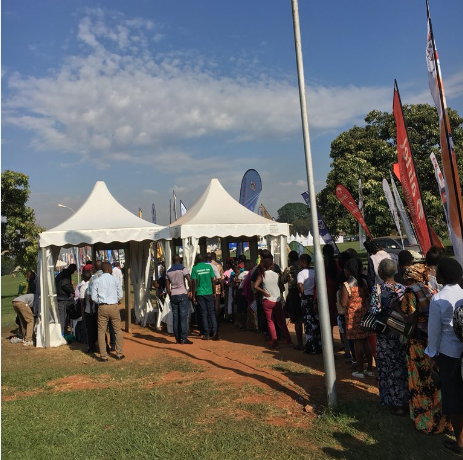 KAMPALA – Hundreds of people on Wednesday and Thursday thronged the Kololo Independence grounds in Kampala for free services at ongoing tax appreciation week. This year’s Tax Appreciation Week started on Wednesday and ends on Thursday under the theme ‘Stronger Together’. 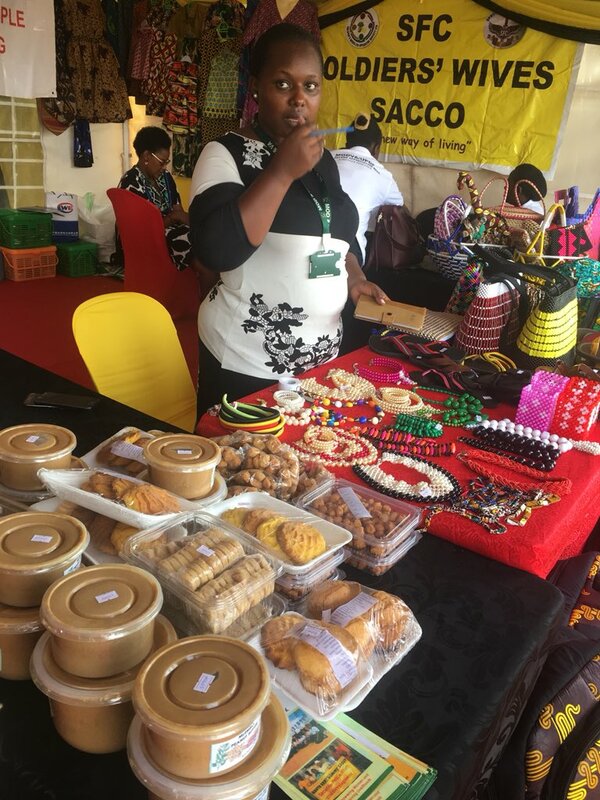 Several government ministries, departments and agencies have set up tents at Kololo where they are showcasing their services as well as offering free services. Among the free services is cancer screening and treatment offered by the Uganda Cancer Institute. On Thursday, hundreds were screened for many forms of cancer such as cervical, breast and prostate cancer. Ms Christine Namulindwa, the spokesperson of the Uganda Cancer Institute, said they are targeting people between the age of 40 and above who are at a higher risk of suffering from cancer. Ms Namulindwa said all suspected cases are being isolated and given free treatment. Apart from cancer screening, the Uganda Heart Institute also registered a great number of patients who underwent various cardiovascular tests. Some of the clients said the event helped them to access free expensive medical services. “We thank URA for organizing the event; it has helped some of us who cannot afford to go to Mulago for such tests. We call upon the government to extend the same services to rural areas where majority of Ugandans cannot afford the tests,” said Andrew Musoke, a resident of Namasuba. Other free services being offered at the tax appreciation week include free sim card registration by various telecom companies, national identity card registration and land title verification. 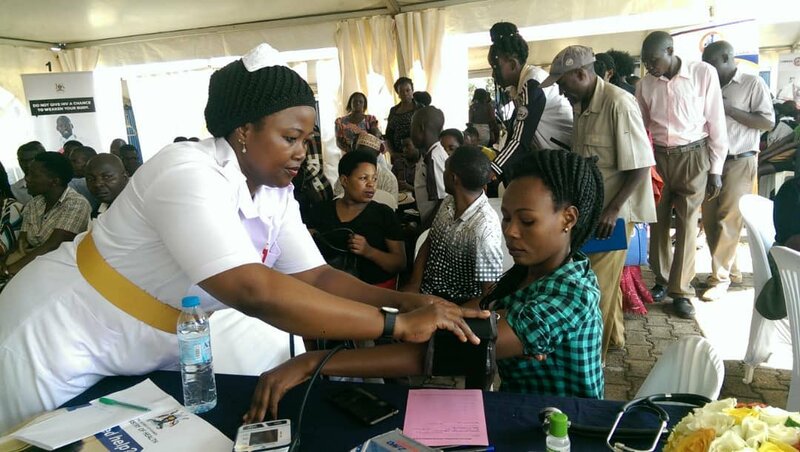 The free health services is part of the corporate social responsibility activities being conducted by both government and private health institutions service providers as part of the tax appreciation week being organized by Uganda Revenue Authority. Mr Vincent Seruma, the Head Public and Corporate Affairs at the Uganda Revenue Authority, said the corporate social responsibility event is aimed at paying back to the public. “As tax agency, we have worked with all government institutions that are offering social services to bring them on board during the tax appreciation week where they can also give back to the community through offering free services as a sign of appreciation,” he said. Mr Seruma added that URA would like to build trust with the public. “We would like to build trust with the public after engaging. Going forward, we would like to see that after this event the public will have trust. The event also boosts the economy from the sales during the week,” he said.